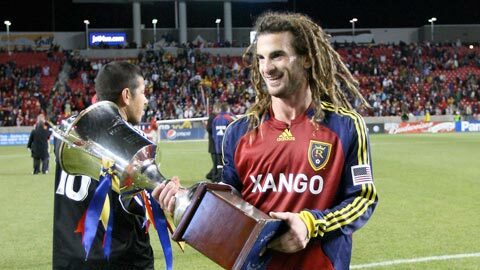 Kyle Beckerman and RSL are hoping to repeat as Rocky Mountain Cup winners and earn their first Supporter's Shield this weekend. Unlike previous years the final week of the regular season isn’t going to decide who gets into the playoffs and who doesn’t, but it will decide who will play who in the first round starting next week. New York punched their ticket as the eastern conference regular season winner and will get one of the four western conference wild card in return. Speaking of the Red Bulls the turn around there from 2009 to this year has to be mentioned for a moment. The fact that Hans Backe and company went from worst to first in the east is pretty remarkable considering how bad that club was a year ago. 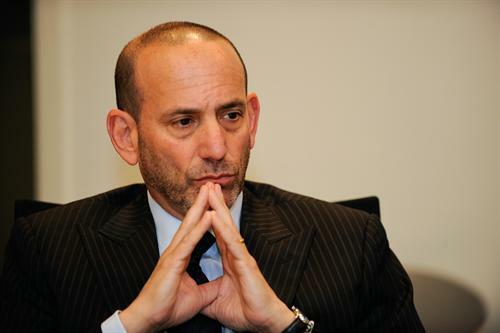 Sure adding a couple high profile guys like Thierry Henry and Rafa Marquez doesn’t hurt but for once this organization got smart with their coaching and front office hires and it looks like for a change this club will be stable going forward. Like New York or not they are a club that will be annual contenders from now on I believe. Get all of that? Good, lets get on to the predictions for the weekend. Before the season I believe I pegged this game as a big one on the final weekend of the season. That was when I thought Houston would be a contender behind Geoff Cameron and Brian Ching. The Dynamo are hoping to close the year on a high note though against a team that could turn into one of their rivals. Look for this one to be played on the wings with Seattle controlling the pace in this one. The Sounders have been red-hot in league play over the last couple of months and even on the road I don’t see them cooling off here when they know they can move ahead of FC Dallas with a win (and a loss by Dallas in LA). Houston will play with pride but the offense won’t be there to stay with Steve Zakuani and the Sounders. Jamie Moreno’s last game with United, possible MLS too. I see him going on out top in this one with a goal to extend his all-time mark. Toronto could spoil the fun but I’m not betting money on it. This one could be very interesting to watch. For the Quakes its all about playoff positioning. I feel they’re suited better to make a run if they’re in the eastern conference bracket instead of the western conference. Depending on how the Seattle game goes earlier in the day tomorrow the Quakes could just be playing for a draw. Now I doubt they’d ever admit that but really its all about match-ups going forward and they don’t want RSL or LA. KC will put up an interesting game even though they’re out of contention. 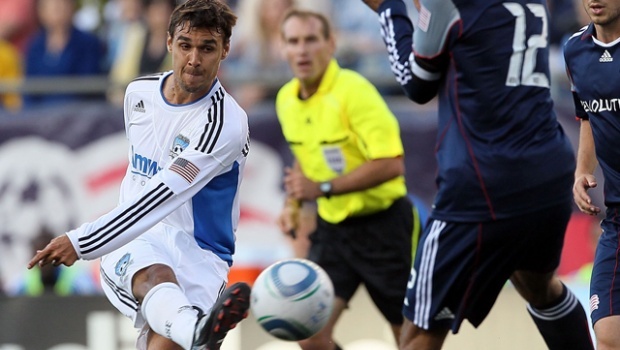 I think it ends in a draw with Chris Wondolowski taking over the Golden Boot standings on the final weekend. Another game that has a lot riding on it. I’ve said all year this would be a game that would have a lot of playoff meaning. Not only does it have playoff positioning but it could also mean a Supporter’s Shield for RSL with a road win against their Rocky Mountain Cup rivals. I think this will definitely be the game of the weekend and a physical one at that. I just see another draw between these two right now though. RSL can win on the road but Colorado certainly has a way of finding goals with Omar Cummings. I’ve grown used to seeing both of these clubs in the post season over the last couple years. Just weird that neither one will be joining the post season fun this year. We get to see Brian McBride and C.J. Brown’s last game with the Fire as well as Jonathan Bornstein’s final game with Chivas USA. I’m hoping McBride rides off into the sunset with a win but I think Chivas will spoil that. I really believe the Will Hesmer goal will do wonders for this club going into the playoffs. Just look at their midweek CCL result against Joe Public, 4-1. Seeing how Philadelphia hasn’t done all that well on the road this season I’d imagine we’ll see Columbus get back into gear before the playoffs begin. Dallas finally dropped a game last week in RSL and LA was one of the only clubs to beat them this season. I have a feeling Schellas Hyndman will get this club up for this game no matter what but beating LA at the Home Depot Center isn’t something this Dallas club is used to doing over the years. LA knows they can’t drop this game and I don’t see them doing so here but I think Dallas does get a point out of it with the return of Kevin Hartman in goal. Sorry, LA is not playing well enough right now to get the shield, Salt Lake is going to take in like they did they cup last year.